An orthophotograph is a two dimensional projection of a high density point cloud – an orthographic planar projection. 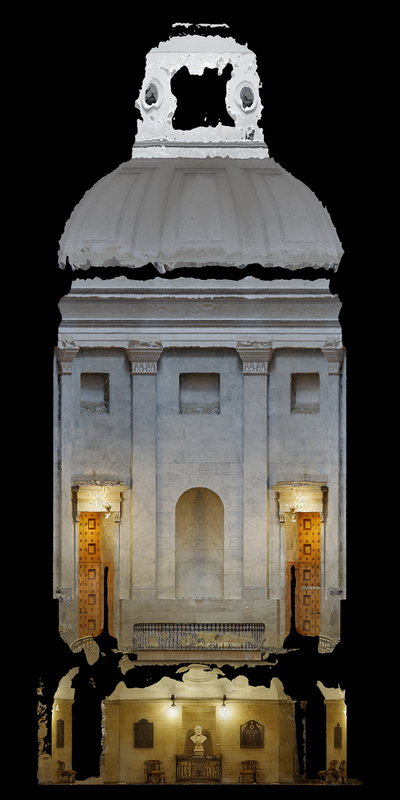 While they appear to be photographs, they behave much more like drawings – as elevations or plans drawings – as they describe the real size, shape and layout of as structure in architectural terms. 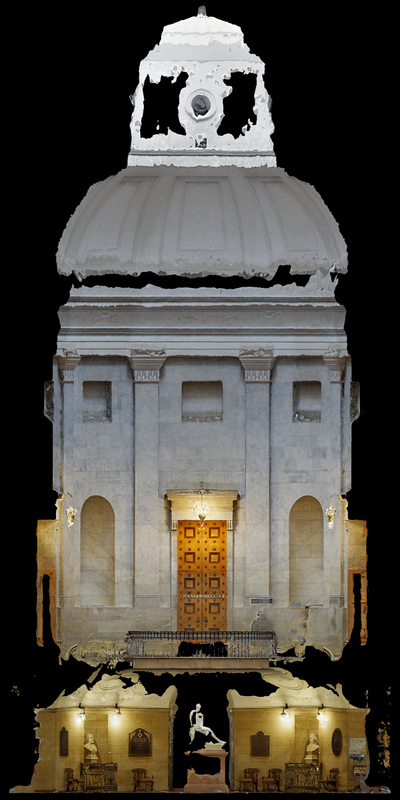 East Elevation, orthophoto of the North Carolina State Capitol. Orthophotos are unlike photographs in that they do not originate from a single point of view (such as a camera station) but are created as a planar projection of three dimensional points. They are similar to photographs in that they are composed of pixels colored to match the surface described. 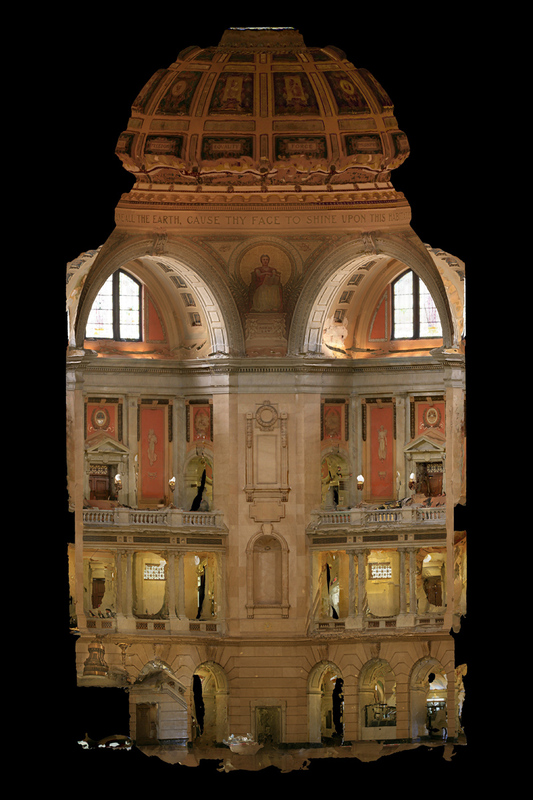 The orthophotos of the rotunda -above and below- were collected using shots on a tripod at the balcony level. The images above depict the North Carolina State Capitol building in Raleigh, NC. 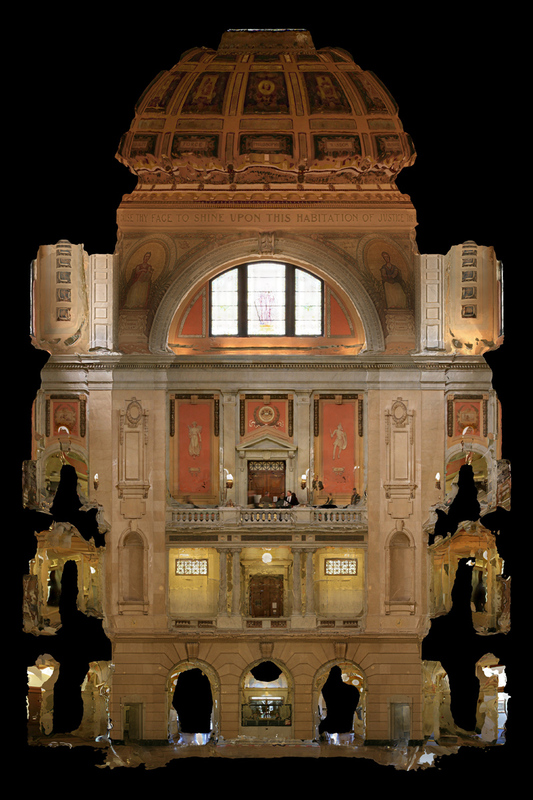 below are shots of the Lucerne County Courthouse in Wilkes-Barre, PA.